Recent statements by Belarusian officials have confirmed that the country's citizens should not expect a more liberal visa regime with Europe in the foreseeable future. Belarus's decision to introduce a conditional visa-free regime for nationals of eighty countries, many of them European, does not mean Europe has to reciprocate. Georgia and Ukraine, Belarus’s fellow inmates in the Soviet camp, will soon join Moldova in the group of countries which enjoy visa-free travel to the Schengen zone. Meanwhile, Belarusians are subject to the strictest Schengen visa regime amongst all Eastern European nations. Differences between Minsk and Brussels over the readmission procedure, concerning migrants who attempt to cross the Belarusian border into the EU, have dashed hopes for imminent visa facilitation. Does this mean citizens of Belarus will continue to be targets of expensive, complicated, and sometimes humiliating visa procedures? On 1 March, Belarusian foreign minister Vladimir Makei admitted that migration-related ‘challenges and dangers’ have impacted visa negotiations with Europe. According to Makei’s spokesman Dmitri Mironchik, Belarus is ready to sign the visa facilitation agreement immediately – but not the readmission agreement. However, Europe insists on a single package. The readmission agreement would commit Belarus to taking back all illegal migrants – including third-country nationals – who enter the EU from its territory. Belarus's open border with Russia would make further readmission more difficult. While the number of such trespassers remains negligible, Minsk is unwilling to undertake such obligations while the migration crisis looms in Europe. Belarus lacks proper infrastructure to accommodate returnees as well as a network of agreements with potential migrants' home countries. Europe is not ready – ‘politically or psychologically’ – to grant Belarus a grace period on the readmission of third-country nationals. However, the EU had earlier given such grace periods to Belarus’s neighbours: Russia (three years) and Ukraine (two years). In 2015, embassies of EU countries in Minsk issued 753,937 Schengen visas, 66.3% of them being multiple-entry. This is the highest per capita rate in the world and the fifth-largest absolute number. Belarus also has one of the lowest refusal rates, at 0.3%. Despite these encouraging statistics, the visa process remains lengthy, costly, overly bureaucratic, and sometimes humiliating. Even people with spotless multi-year records of travel to Europe must, each time they apply for a new visa, submit the same heavy set of documents, pay a high fee, and wait many days before retrieving their passport. Belarus and the EU began negotiations on simplifying visa formalities and launching a readmission procedure in 2014. This was six years after Minsk had confirmed its willingness to engage in talks. Both parties can assume the blame for this delay. A successful visa facilitation agreement would make the visa process much simpler for Belarusians. Visa fees would go down to €35 from €60, and more people would be exempt altogether. Additionally, the application paperwork would be streamlined and more multiple-entry visas would be issued with longer validity. Belarus and the EU have held three formal rounds of negotiations on the agreements, most recently two years ago exactly. Both parties had hoped to initial the drafts during the Eastern Partnership summit in Riga in May 2015, but failed to finalise the talks by then. Are selfish officials responsible for the delay? Belarusian officials blamed the delay on unspecified ‘technical details’ that required further discussion. Meanwhile, Gunnar Wiegand, director for Eastern Europe at the European Commission, announced in December 2015 that both agreements were ready to be signed. Allegedly, the only unresolved issue regarded the implementation of higher security standards for Belarusian diplomatic passports. Belarusian authorities wanted the draft to guarantee visa-free travel for diplomats. However, EU negotiators insisted that the passports should first have biometric features. The comments of EU diplomat caused noticeable discontent in Belarusian society. Many Belarusians blamed selfish officials for the delay in visa facilitation. In all fairness, Belarusian diplomats were right to demand the country’s equal treatment in international negotiations. Most holders of diplomatic passports cannot use them for private travel. As for official travel, they face no problems obtaining visas anyways. This ‘technical problem’ is now irrelevant. A government official confirmed to Belarus Digest that the agreed draft includes the same provisions on visa-free travel for diplomats as similar EU agreements with other countries. The issue of biometric passports will work itself out as Belarus starts transitioning to them next year. The Turkish precedent is haunting Europe. The readmission agreement between the EU and Turkey, which came into effect on 1 October 2014, provided Ankara with a three-year respite from readmitting third-country nationals. Millions of refugees from Syria entered Europe via Turkey during this transition period. Europe’s migration fears prevent Brussels from granting Belarus a readmission grace period. What's more, no precedent exists for a visa facilitation agreement not contingent on a readmission agreement. Thus, the only option for Belarus to obtain a simplified visa regime with Europe is for it to agree to the readmission document in full. This will not happen any time soon. Moreover, Belarus fears a possible spike in migration from Asia and the Caucasus region and feels unprepared to handle it. It has no detention centres for migrants, who are now held together with criminals. On 3 February, Belarusian President Alexander Lukashenka insisted that he would only consider signing the readmission agreement with the EU when Belarus concludes similar agreements with sending countries (‘all the way to Russia, China, and Afghanistan’). Belarus already has a readmission agreement with Russia. However, it covers only those migrants who possess a valid residence permit in Russia. Thus, this agreement excludes a vast category of migrants who stayed in Russia illegally prior to entering Belarus. The Belarusian authorities are working with the EU on securing technical assistance in establishing the proper infrastructure to process the flow of illegal migrants. In January, the European Commission allocated €7m to Belarus to build detention centres for migrants. However, the Belarusian authorities want more money. In the words of Lukashenka, ‘If the EU doesn’t pay, we won’t detain [the illegal migrants]. It costs much’. 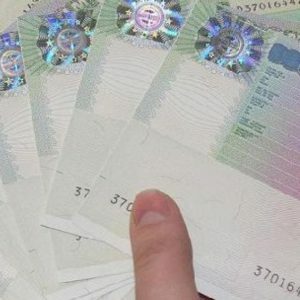 It looks like the simplification of the visa regime for Belarusians has been jeopardised by bargaining between Belarus and Europe over who should bear the risk and cost of migration. This bargaining may take years. In the meantime, EU countries are still capable of easing the visa procedure for Belarusians within the framework of existing visa rules. This could mean reducing wait time, simplifying paperwork requirements for frequent travellers, and further increasing the share of multiple-entry visas and their duration of validity. This would be a decent response to the recent measures taken by the Belarusian government to facilitate travel to Belarus for European citizens. It would also help increase Europe’s soft power in Belarus and dispel the myths of Russian propaganda about ‘decaying Europe’.